The weather has been rather chilling this few days, dropping to as low as 22 degree celsius. This is rather rare in Singapore. With just a cooling weather, it is perfect for a bowl of porridge to warm the body. This brought me to Hwa Yuen Porridge (华园粥品) at Tiong Bahru Food Centre. 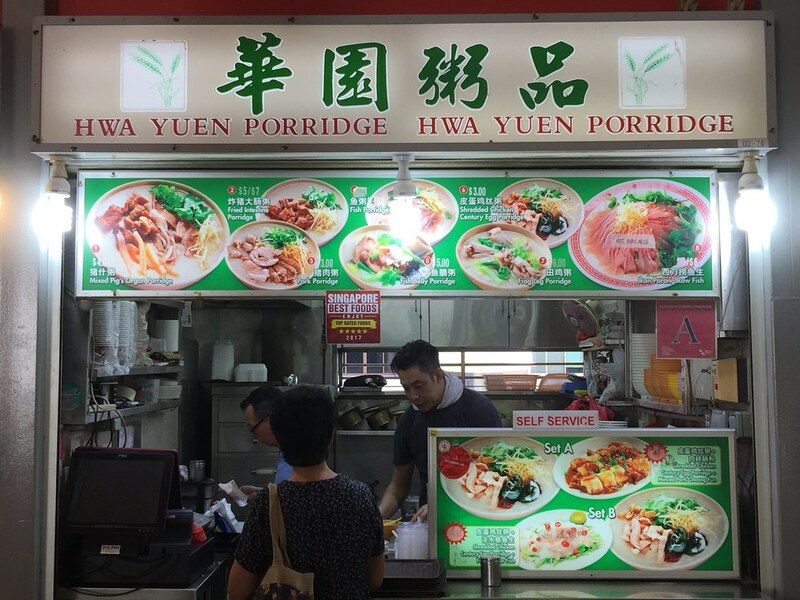 I am not sure how long Hwa Yuen Porridge (华园粥品) has been operating but it seems that it dated back to the old Tiong Bahru market days, which means it has over 50 years of history. 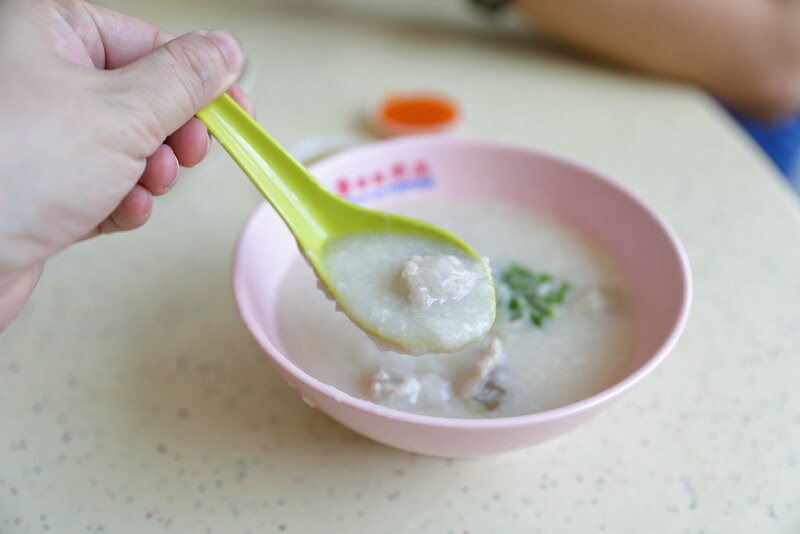 From my research online, it seems that after the founder has passed away, the younger son has taken over the stall at Tiong Bahru while the the elder one has moved on to open Tiong Bahru Wah Yuen Porridge at Telok Blangah Drive. The porridge here is the Cantonese congee style, which is smooth and creamy type. I had the Mix Pig's Organ Soup ($4) which comes with pig's offal, pork slices and pork balls. It is sprinkled with chopped spring onions and topped with fried rice vermicelli strips for the extra crunch. It may looked rather plain but the congee has been seasoned and quite tasty, there is no need to add any addition soy sauce etc. Due to the Group B streptococcus (GBS) bacteria outbreak in 2016, National Environment Agency (NEA) has banned food outlets from sell raw freshwater fish which is usually eaten with porridge. With the new regulation, Hwa Yuen has also taken it off the menu. It is actually quite a pity because it means the lost of hawker dish from our food scene. Lousy service porridge very little overcharged.